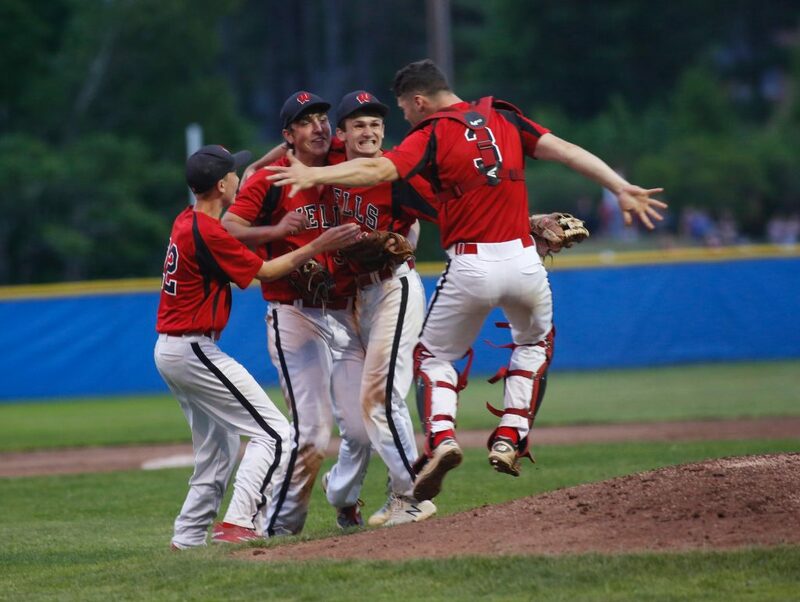 Wells players celebrate after defeating Greely 8-3 Wednesday in the Class B South championship. 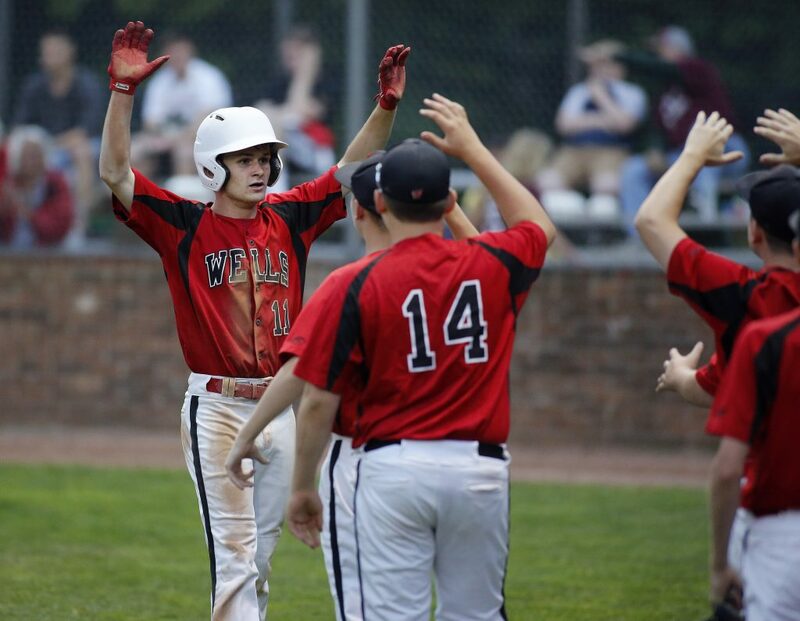 Wells players greet Liam Bell after he scores in the sixth inning. 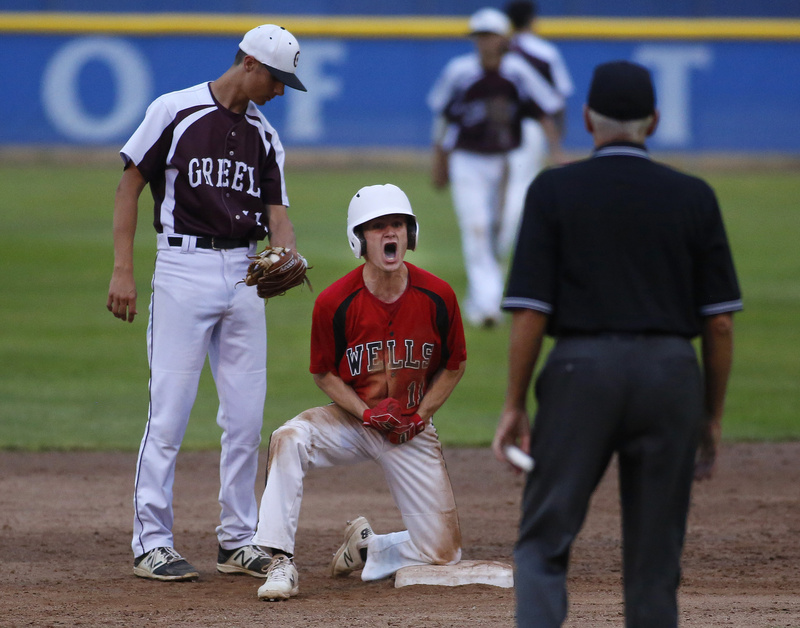 Liam Bell of Wells reacts after a double in the sixth inning. 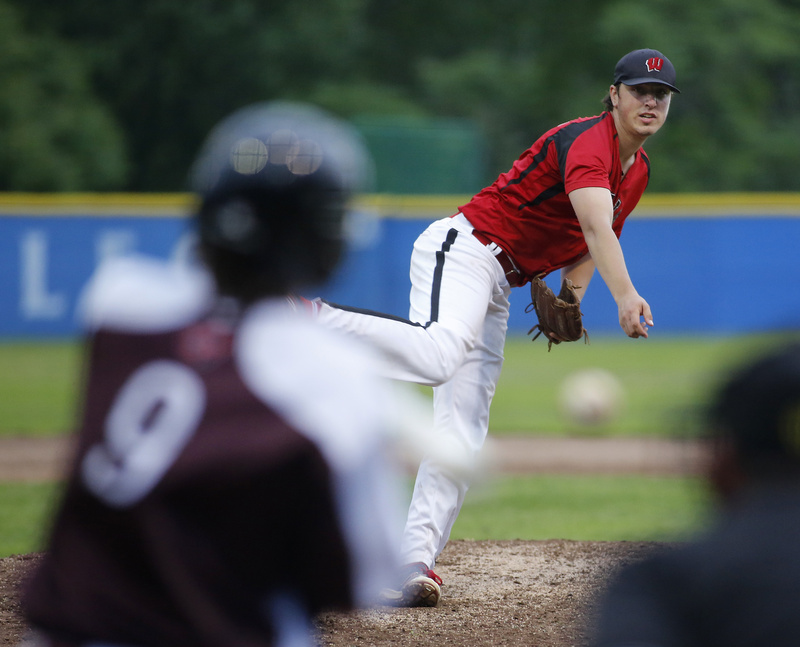 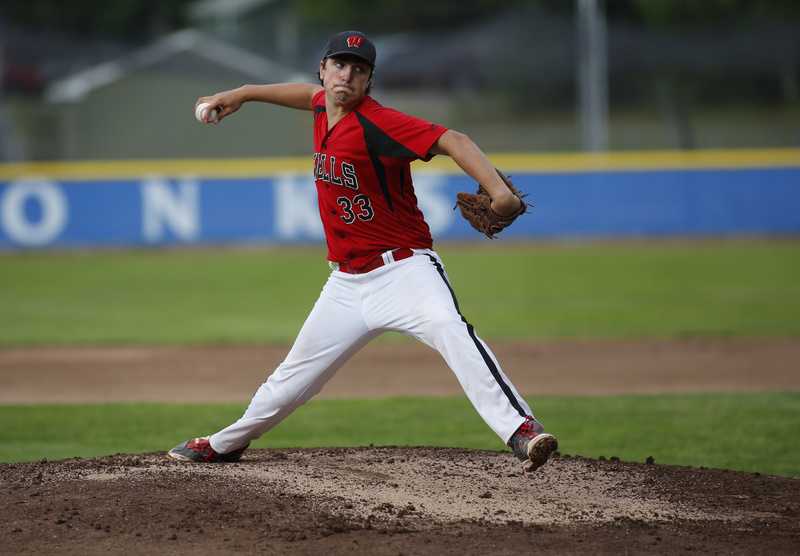 Wells pitcher Cam Cousins delivers a pitch in Wednesday's game. 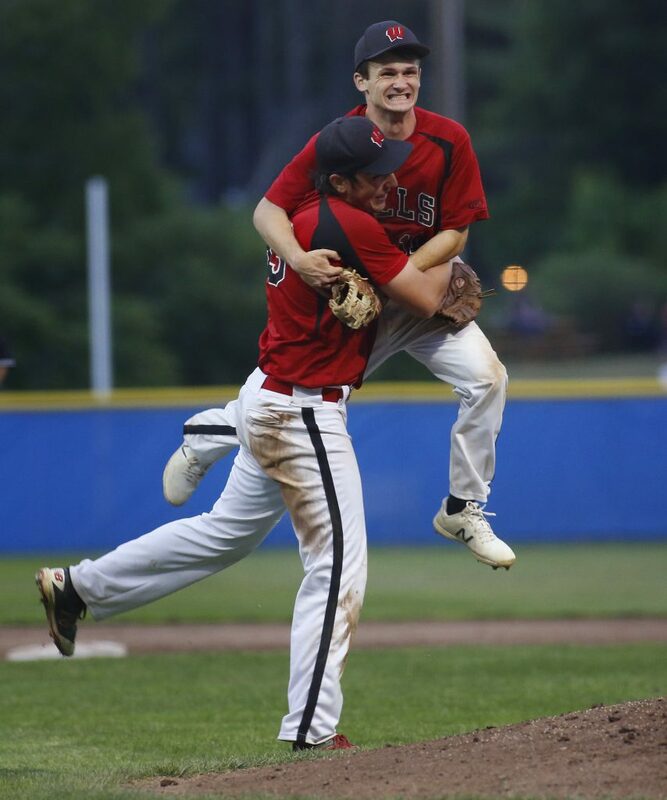 Liam Bell leaps in celebration with pitcher Cameren Cousins after beating Greely 8-3. 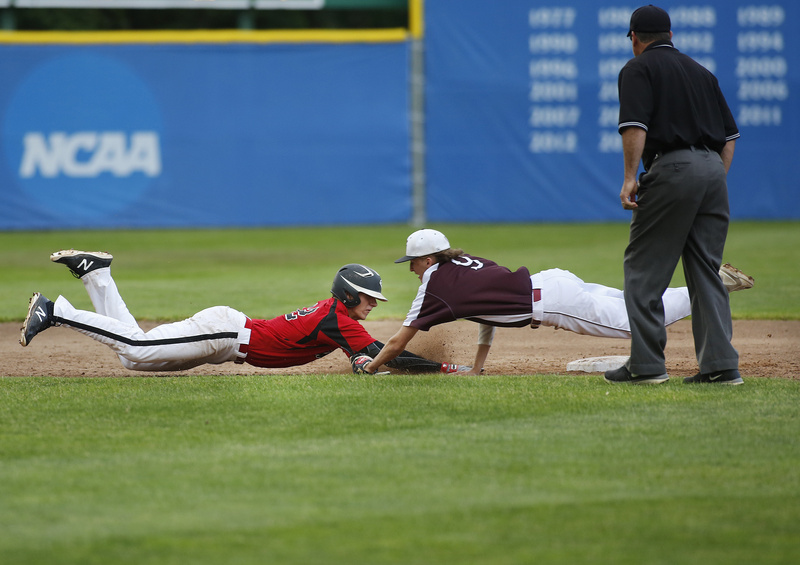 Alexander Eisenhart of Greely dives to tag Tyler Bridge of Wells on a pick-off play. Wells pitcher Cam Cousins allowed one earn run and gave up eight hits and struck out three in the win. 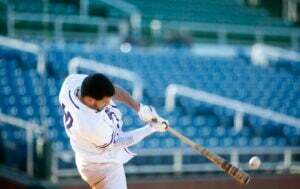 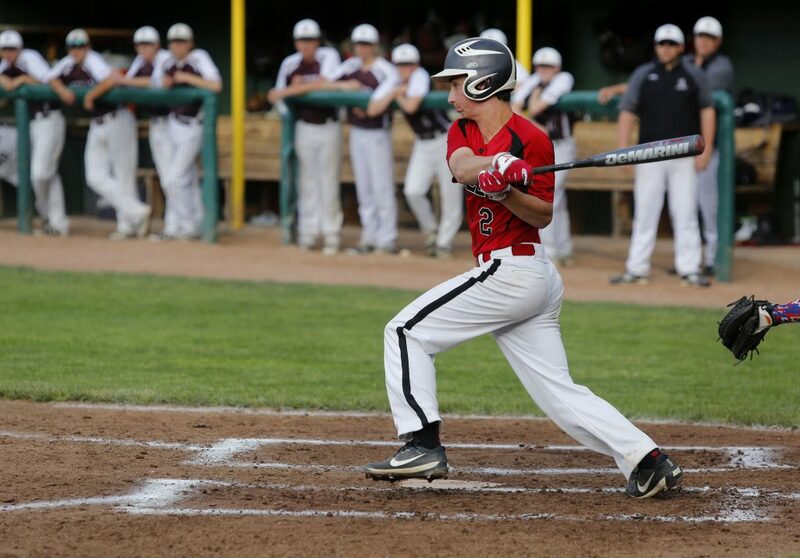 Gary Andrews of Wells gets a hit in the first inning.